One time reading isn’t enough! Experts are confident that every document, which is read only once, isn’t fully understood and realised by people. 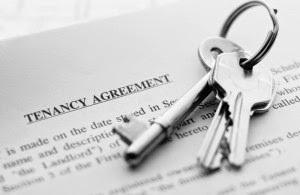 If you do not understand something from the lease contract, always ask – whether your landlord, or the renting agent you have hired. If you haven’t understood it again, ask twice. Do not put your signature under things you cannot put in your head! When you do not agree with something from the lease contract, keep your nice tone and good manners and start negotiating. The kinder you are, the better your chances for figuring out the issue become. You will find a long list of duties you have in the lease contract. Read them and consider if you are ready to perform them. For instance, are you sure you are pleased to do one off cleaning each month and are you ready to leave your cat outside the house in order to keep the property in an intact condition? Also, get aware of the rights you have. When some damage occurs, you may be able to contact your landlord and no matter whose guilt it is, he will hire professional masters for the repairs. Read the instructions for the end of lease cleaning in the tenancy contract, as well. Otherwise, you may not perform the sanitising procedure properly and you will lose your rental deposit. Ok, guys, now you are ready to sign a contract as you are a pro legal adviser!